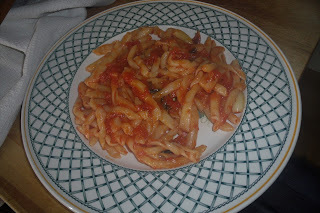 Here we are at the end of our series on pasta from the Amalfi Coast. The first time my husband, then fiancè, took me to meet his relatives in Minori on the Amalfi Coast, his Aunt prepared a most delicious meal. The pasta course was "ricci" with tomato sauce. After some 38 years I have finally mastered the art of making "ricci". The word "ricci" means curls, a most appropriate name for these little pasta ringlets! 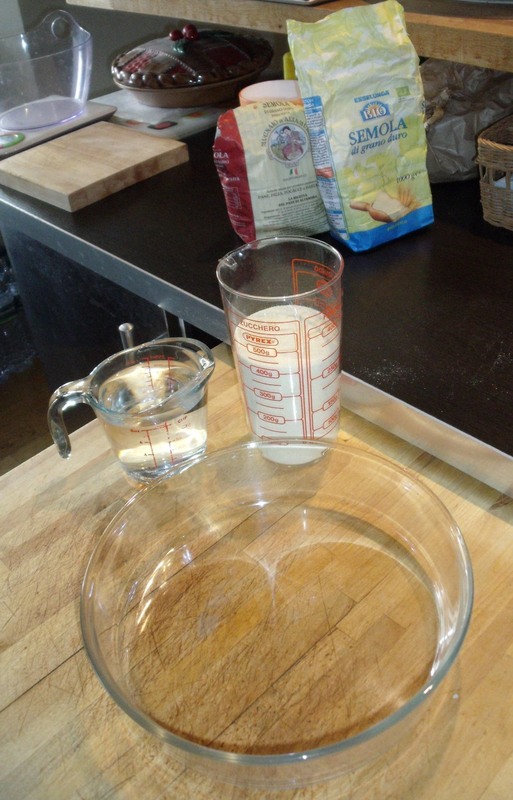 Mix flour, salt, oil and warm water in a bowl. Add the water gradually. And mix well. We are looking to make a rather stiff dough, much stiffer than bread dough. Knead the dough well. 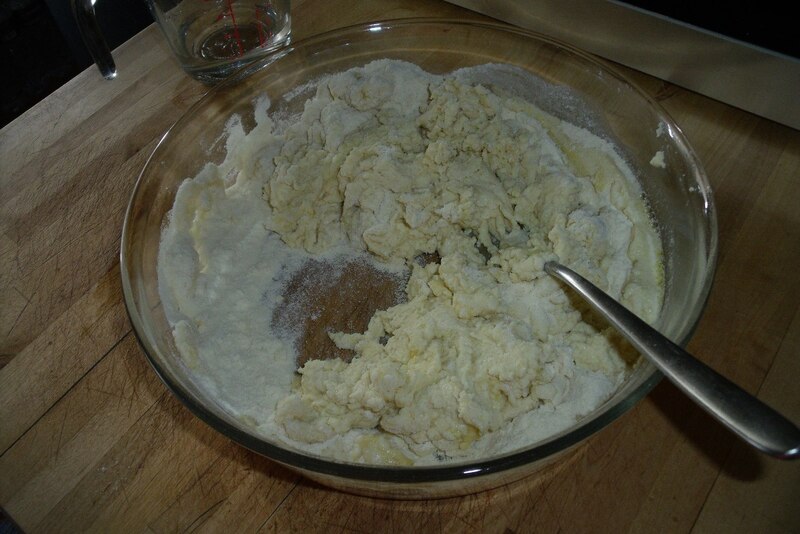 As you can see in the video it is a stiff dough and will take some elbow grease to knead it! You can serve ricci with any pasta sauce. Since this is a very delicate pasta, I prefer a simple tomato sauce made with plum tomatoes, garlic, olive oil, salt, pepper and basil. You can cook the ricci immediately, in this case they only take about 2 minutes to cook. This recipe should give you 4 to 6 portions. You can also let the ricci air dry, you may want to cover them with a clean dish towel. When dry, they take about 6 minutes to cook. And there you have it! Have fun experimenting with Scialatielli, 'Ndunderi and Ricci! They look adorable, and lots of work. I wish I were able to taste yours! Hello from now sunny CA.